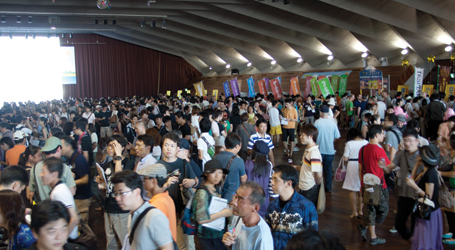 Yokohama also hosts several smaller craft beer festivals, the most important of which, BeerFes Yokohama, takes place every year on a three-day holiday weekend in mid-September. Traditionally held at the Osanbashi pier, it currently draws over 10,000 guests and features a couple hundred varieties of craft beer from across Japan. Best of all, it's an all-you-can-drink event with small taster glasses so guests can try a whole range of beers. It is hosted by the Japan Craft Beer Association, whose chairman Oda Ryoji launched the craft beer festival scene in Japan in 1998. A more recent event is the Ichinoseki Beer Festival held in Yokohama in late September. This event features beers from Tohoku and Kanagawa, as well as a selection of Belgian ales imported by one of the organizers. This same company hosts the Bruxellensis Beer Festival, a Belgian beer event, usually during Golden Week.